1 Federal Census, IN, Allen County, 1900, Fort Wayne, E.D. 34, Sheet 10B, Image 20 of 30, Ancestry.com (Online Census Images). 2 Federal Census, IN, Allen County, 1910, Fort Wayne Ward 5, E.D. 45, Sheet 19B, Image 38 of 40, Ancestry.com (Online Census Images). 3 Federal Census, IN, Allen County, 1880, Wayne Township, E.D. 117, p. 30, Image 30 of 43, Ancestry.com (Online Census Images). 4 Find A Grave, (accessed 05/02/2016). 5 Indiana, Select Marriages Index, 1748-1993, Marriage record for Frederick C Peters and Elizabeth J Knight, Ancestry.com (Online Database). 6 The Fort Wayne Sentinel (Fort Wayne, Indiana), 01 DEC 1922, p. 1, Obituary for father John C. Peters, Newspapers.com (Digital Library), www.newspapers.com. 7 U.S., World War I Draft Registration Cards, 1917-1918, Draft registration for Frederick Christian Peters, Ancestry.com (Online Database). 8 Griswold, Bert Joseph and Mrs. Samuel R. Taylor, The Pictorial History of Fort Wayne, Indiana: A Review of Two Centuries of Occupation of the Region . . ., Volume 2, Chicago: Robert O. Law Company (1917), 339, Google Books (Digital Library). 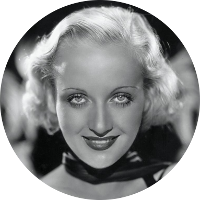 9 Wikipedia, "Carol Lombard", (accessed 02/24/2016).